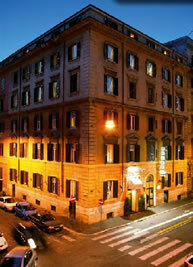 Welcome to the Kennedy Hotel Rome Real Time Online Booking System. Click on the link below to make a reservation, check availability of rooms or the special offers currently available, or simply to explore the booking process with no obligation. This booking system uses SSL Secured 128 BIT Encryption to ensure maximum security of your personal information. All details entered are instantly encrypted so that you can enjoy peace of mind. All reservations are made in real time and Bookings will be confirmed immediately. By using our system you are in direct contact with the hotel and all information provided will remain strictly confidential. Please click here if you have any problems opening this page.